Oliva lies 7kms southof Gandia at a distance of 75 Kms from Valencia Airport and 100 Km from Alicante Airport. Oliva has a typical mediterranean climate, there are approximately three thousand hours of sunshine each year and the sea temperature ranges from a 13ºC minimum in winter to 29ºC in summer. These gentle temperatures provide an ideal year round climate with mild winters and delightful springs, further north the thermometers plummet and further south the summer heat can be unbearable. 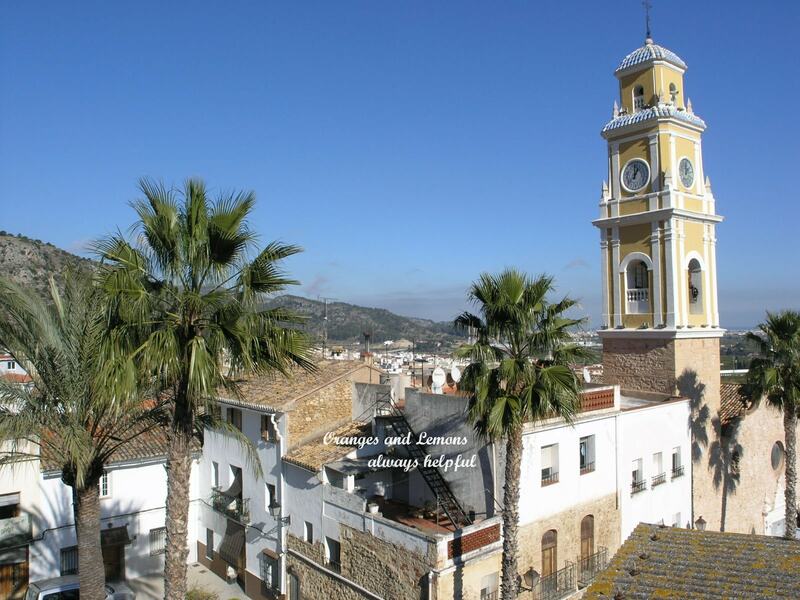 Oliva municipal district has an area of 59,61 km2, so it is second in size to Gandia in orange blossom county. 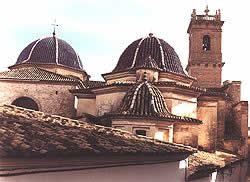 The population of Oliva city and the municipal district is approx. 24.715 inhabitants. 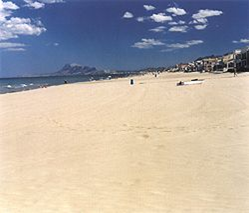 Oliva's mild weather allows you to enjoy the beach almost all year round. The Orange Blossom Coast has hundreds of kms of the finest beaches in the country..................Hidden away in coves, or open and majestic, with fine golden sand or smooth shingles, under the shelter of cliffs or open to the coastal plains. 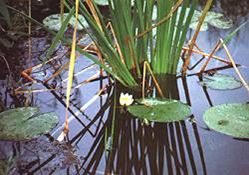 With warm water in summer and autumn, and sunny even in winter. European Clean Water Blue Flags wave over many of the beaches of the Costa Azahar and the province of Valencia reflecting the quality of the sea and the beach services: play areas for children, sports facilities for basketball, volley ball, diving platforms. 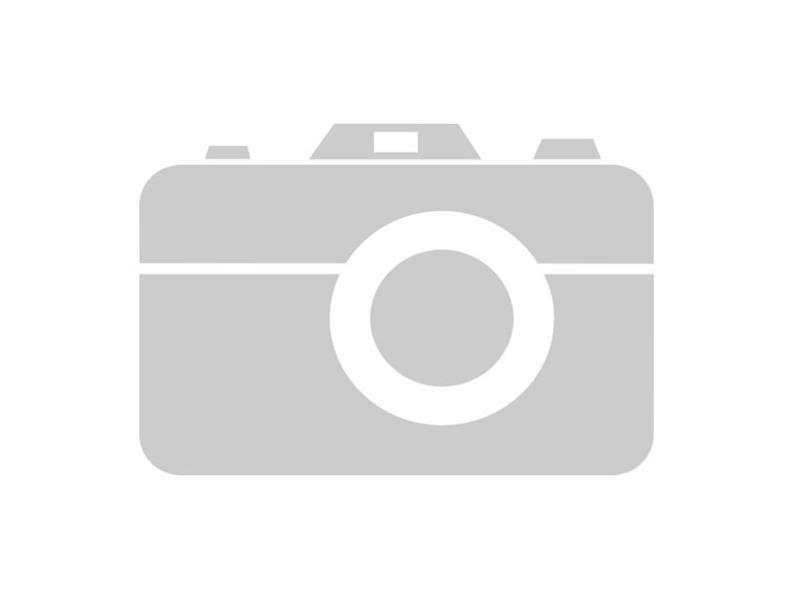 Along its entire length the land of Valencia is a major attraction for visitors and residents alike, because local beaches are the ideal place for fun and sun, leisure and entertainment, where everyone can enjoy the sea and the weather. 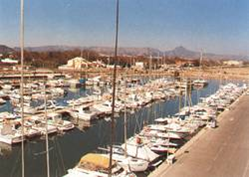 The Oliva Nautic Club offers moorage to ships and boats as well as sailing courses. The Mediterranean sea and the rivers Bullent and Molinell make Oliva a privileged place for fishing lovers. 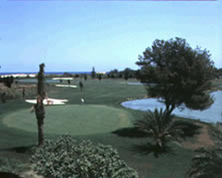 The Oliva Nova Golf Complex is situated just outside Oliva on the shores of the Mediterranean. The course is in a spectacular position with superb natural surroundings bordering a kilometre long sandy beach with dunes. 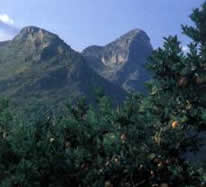 Vast plantations of orange, olive and almond trees by the mountains provide the background scenery. Oliva Nova is an absolutely vast resort covering a massive area of more than 47 hectares with over a million square metres devoted to a superb 18-hole course. Its pedigree is impeccable, boasting as it does victorious Ryder Cup Captain Severiano Ballesteros as course designer. There are currently around 200 members, but it isn’t necessary to belong to the club to dine in at the hotel or to enjoy a round. Keen golfers would undoubtedly want to prolong their stay. Golfers who enjoy the nineteenth hole as much as the previous eighteen will appreciate the sun terrace as well as the a la carte restaurant. For liquid refreshment of a different kind there is the attractive outdoor swimming pool or water sports that are on offer at the seafront. In addition to all this there is even a resident physiotherapist. If you are familiar with resorts in the United States, such as Palm Springs, Oliva Nova is very reminiscent of that great resort and a delight to discover in the Valencian Community. A treasure at hand's reach: A walk around Oliva allows us to understand better its History, written through centuries in the design of the streets, the houses, the fountains, the gardens and the Monuments. To start with, one can visit the Churches of Sta. Maria, St. Roc and Rebollet and go through the gates of the city: Fossar's, Verge Maria's and St. Vicent's. Next, the visitor can admire Mayan's house and the nobiliary houses in Tamarit Street and walk peacefully in C. Moreres, St. Vicent, Sr. Cristòfol...and its surrondings. Finding the Towers of the City Wall and other details such as the Count's Palace's windows will make you want to discover the rest of the treasures that this Mediterranean Villa offers. 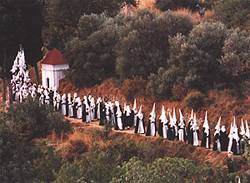 Among the fiestas that are celebrated during the year, the 'Holiday of Moors and Christians' is the one with most number of participants and audience. Also very important are St Vicent's Holiday, the many Carnivals, the important Easter week, the Fallas and many others that fill the city with culture and colours. An important part of the working population are engaged in agriculture, the orange growing most of all, but they also grow high quality vegetables. These products can be bought at the traditional local market which takes place every Friday morning, where the farmers go to sell their vegetables. Oliva has its own industry, mainly dedicated to clay products, such as bricks, tiles and craft pottery that can be bought at the numerous local shops located troughout Oliva. 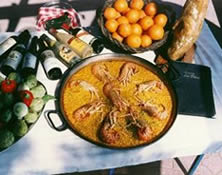 Besides the delicious paellas, Oliva's gastronomy offers dishes of high quality and originality: pebreres farcides, figatells, espardenya, gamba amb bleda and coques i pastissos..
Left: Ascent to Calvari, Easter. Mountains constitute an unexpected presence to the visitor in such a coastal resort. Nevertheless the Gallinera and Mustalla Mountain range form a perfect hairpin bend which constitutes the natural border of Oliva and the neighbouring villages. 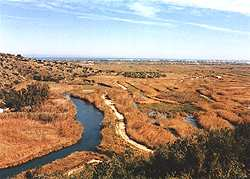 Oliva-Pego Marsh The Natural Park of Oliva-Pego marsh lays to the south of the littoral plain, it is a humid area with abundant fauna and vegetation. The park is used by the migratory birds that look for the fresh water and the mildness of its microclimate. Among the other species, you can find the flamingo, the duck "coll verd" with green chest and neck, the water puller, the royal duck, the quail, the painted pullet, the plover, the heron, the coot, the little stork,etc... Oliva-Pego marsh, also known as "La Partida" or "El Pla", is a wet and boggy area of 12000 or 13000 fanegas, 1000 hectares approximately. 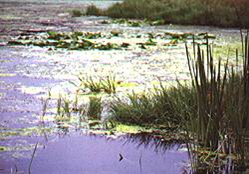 The marsh is served by several water courses, among them stand out the Bullent river or Sequia del Vedat and the Molinell river. Surrounded by the Mountain Mustella at the North, the Segaria at the south, Puig d'Ebo at the west it is separated from the sea by sandy beaches. The interior just a few kms from the coast and you find a different panorama and beautiful landscapes, where mountain towns and country villages still preserve their authentic flavour and their cultural heritage. In the interior some mountains are clothed in trees, others only provide a foothold for shrubbery. Rivers and streams dot along the landscape, along with tiny hermitages and chapels. Stroll the streets of a town in the interior and you can chance across a Gothic mansion or a Baroque church. You can find ancient castles and watchtowers on the horizon dating from Moorish days. You can go canoeing down a river, taste the authentic mountain cuisine, climb the tallest summits in the region, do some hang-gliding or simply relish the aroma of mountain herbs while walking or hiking along signposted trails. This is a region full of surprises waiting round the next corner and it has something to offer everyone. Oliva and Gandia are undiscovered "Real Spain” towns which residents and tourists have the pleasure of and enjoy every day.